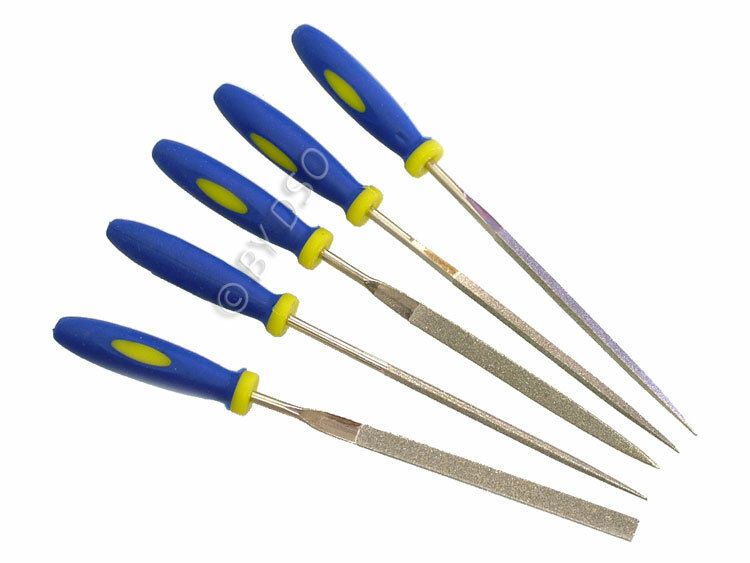 Ideal Hobby & Modelling Tool Set for mechanics, electronics repair, woodworking and hobbyists. This is the ideal diamond file set for home or work, the 5 common tips are great for getting into small areas where regular files won't fit. 70 mm working surface to give you ample length for small projects.